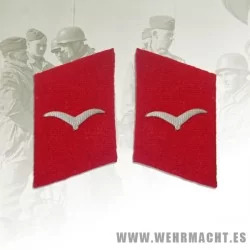 German Officer metal breast eagle. Worn on the summer tunic by Luftwaffe Officers, this large eagle is die struck in solid brass and finished in heavy semi matt silver. With pin back fitting.